2018 RIVERBOAT RAFFLE - last 10 days to get your tickets! 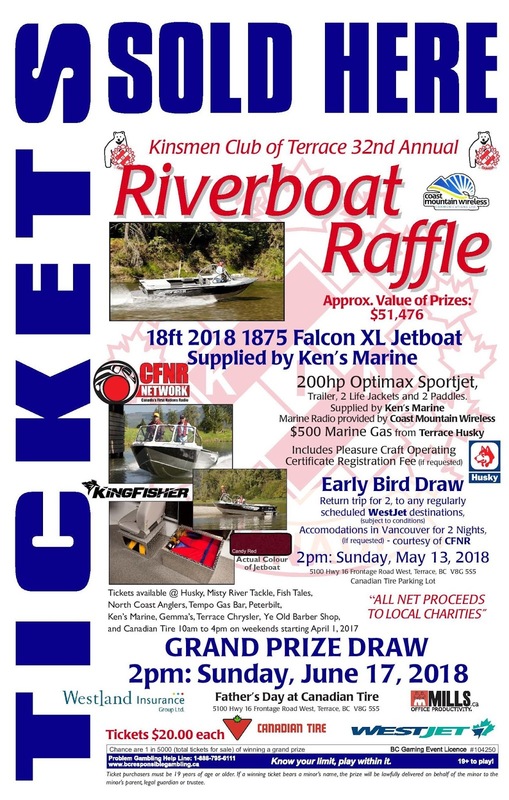 The Grand Prize ticket will be drawn Sunday, June 17th, 2018 and someone will win an 18ft 2018 1875 Falcon XL Jetboat from Ken's Marine! Stop by this weekend and get a ticket from us! Terrace Husky and other great local businesses (see poster).